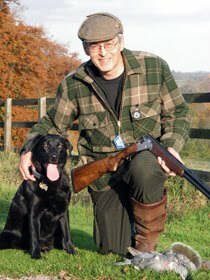 The latest episode of The Shooting Show features an interview I filmed with gamekeeper Geoff Garrod. He's a lovely chap, conscientious about his job but with a deep love of the wider countryside and wildlife generally - exactly what the antis find impossible to understand. But then people like that could never get their heads round the idea that a livestock farmer loves his animals then sends them to slaughter. Filming was a challenge; it was a very bright day, and windy too, and I was desperately short of time. I wished I could spend a whole day just filming him going about his work - or even a year, chronicling the life of a keeper. Still, in the real world who's going to pay for that? As always, back in front of the computer I kept wishing I'd done things differently; it's always a learning experience. Overall, though, I think the real Geoff comes through reasonably well, and by the tone of the comments it seems viewers like this slightly different style. I'll be trying to improve and refine it in future work. I've been experimenting with video settings on my Canon 550D, and I recently got an adaptor so I can use it with an old Olympus 300mm f/4.5 lens that was sitting around gathering dust. Here is a little clip I shot from the bedroom window. The chicken house is 40 yards away, but with the crop factor of the APS-C sensor I'm getting the equivalent of a lens of 450mm or so. I'm pleased with the result - the colours look natural even after I've boosted the saturation and added a bit of S-curve in Hawaiki Autograde. As for Barnaby, he's a complete hooligan. I'm going to try putting up a few short sections of low fence in the hope of keeping them apart, or at very least giving the chickens a head start when he gets a mood on. 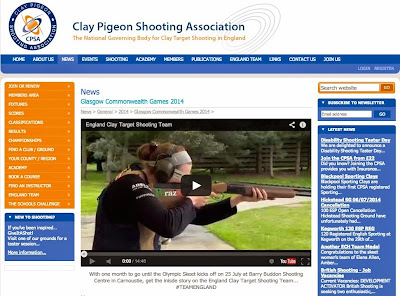 I made a short video for the CPSA about the England shooting team's preparations for the Glasgow 2014 Commonwealth Games. It's up on their website - click the pic below to visit the page and view the video there. Here's my latest film with Gary Green; unusually this one appeared on Fieldsports Channel, as part of their Fieldsports Britain programme. It was a good night, and I was pleased with the way my infra-red filming gear worked. If you were there, the view out across the field was pitch black, but the camera makes it look like broad daylight. Here's my latest piece on AirHeads. They're uploading the show as a playlist instead of a single video - apparently it's the future, but I just find it confusing. Continuing my earlier experiments with placing a camera near the bait point, I've improved the slow-mo settings for the camera and worked on getting better lighting. This squirrel happened to show up at the right moment for some strong backlighting from the sun, which shows up every detail of the dust and what-have-you thrown up when it was hit. 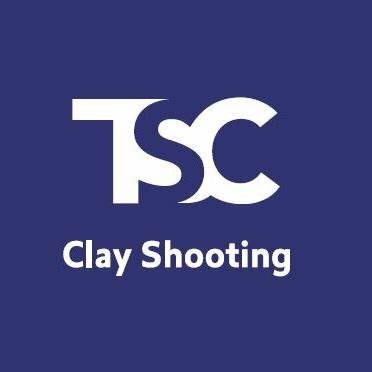 I notice there have been some negative comments on Facebook recently about slow-mo kill shots, and I agree they can be over-done. What I like about this one is that it shows a totally clean kill, with the squirrel dead within a couple of frames, or less than 1/25th of a second. Does this sort of thing 'encourage' the wrong attitude to pest control? I'm not sure. People are what they are, and if someone has a responsible attitude to killing pests this video isn't going to turn them bad. Likewise a hooligan is a hooligan, he doesn't need to watch this to help him become one. Maybe you disagree? I'd be interested to hear your views. Filming shooting is always complicated; filming yourself shooting can be downright impossible! I've been experimenting with ways of leaving a camera running near the spot where I expect the quarry to appear. This one worked rather well, almost too well in fact. The full footage is gory and horrible, and needed to be cut for inclusion in the show. My bit starts at 10:45 but as always the whole show is worth a watch.